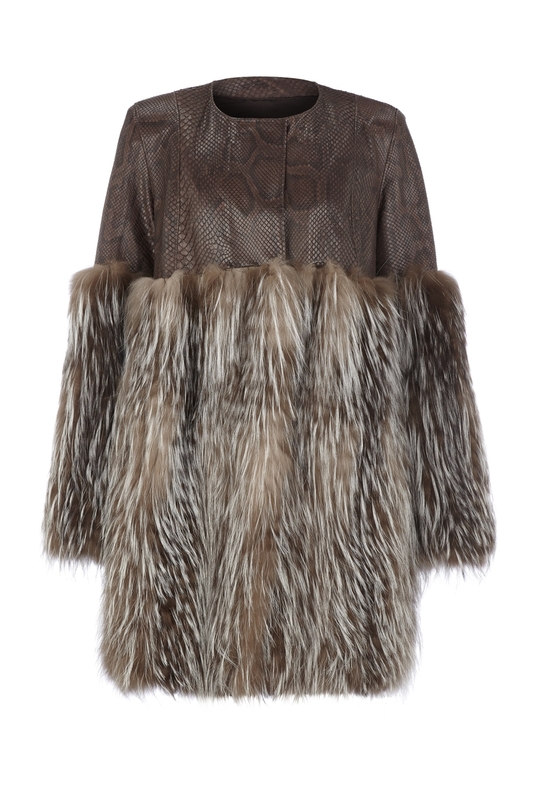 Rock winter glamour scene in this ultra glam python and fox coat. 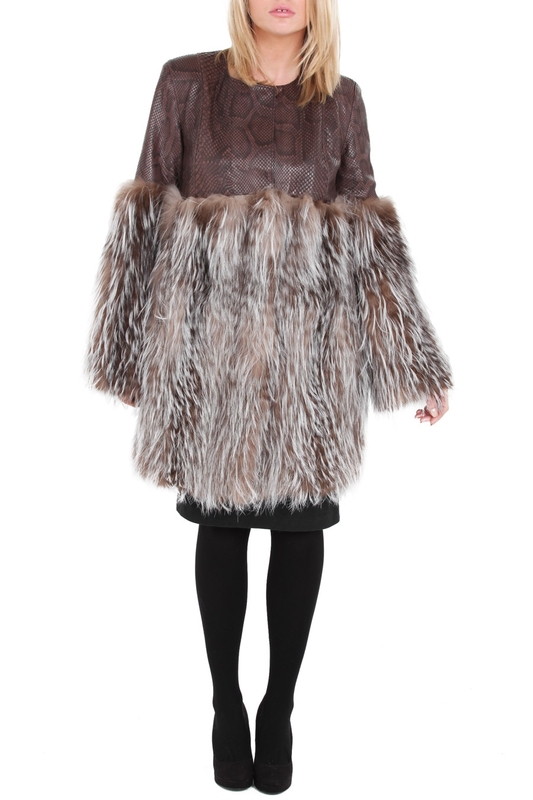 An exquisite item which would work equally well with any outfit from dresses to skinny jeans. 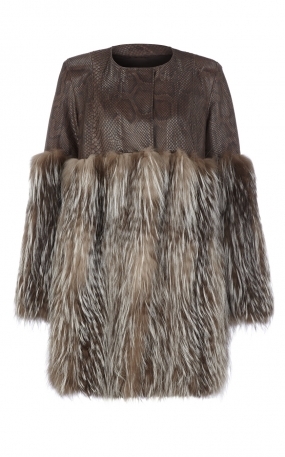 Available with python top or with brown suede top. Size S is UK size 8/10. Model wearing French size 38 (S). Loose fit design. Check our size chart conversion. Length 72cm. Stay informed about the newest fashion trends and our special discounts.